- (NEW) Added option to share Now Playing status to social media and others. - Finally fixed App Shortcuts on Android 7.1+. Also changed icons of all actions. - (NEW) Added Rewind and Fast-forward as option in the customizable button in Now playing. - Added option to hide any of the customizable buttons in Now Playing, tap on them if you want to re-enable them again. - Added Queue position to 'Futuristic','Stock','Stock 2' and 'Dark' themes. - Added Now Playing custom action button to 'Futuristic','Stock', 'Classic' and 'Dark' themes. - Changed to new permission system. BlackPlayer will now ask for permissions at run-time. - BlackPlayer will now give you an error when creating a new Playlist with a name that already exist. - Adaptive UI Settings now displayes the current values as text. - Reverting some changes made in recent versions regarding Playlist saving ("Playlist Save Changes" in Advanced settings is now disabled). - If 'Prefer Embedded' is enabled, the Album cover in Now Playing will reload for each track. 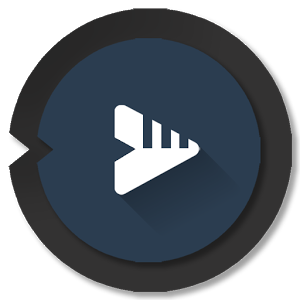 NOTE: If you experience difficulties with downloading BlackPlayer EX 20.33 Build 234 APK from given links below, please try to login first to those file hosting before download (it's free to create an account), make sure to uncheck "Use our download manager and get recommended downloads" or similar, if any.